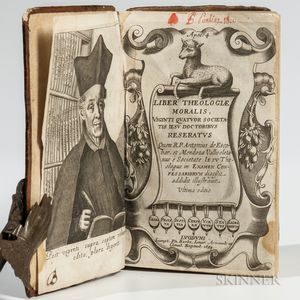 Escobar y Mendoza, Antonio de (1589-1669) Liber Theologiae Moralis, Viginti Quatuor. Leiden: Borde, Arnaud, & Rigaud, 1659. Octavo, engraved portrait and title page, contemporary speckled sheep, gilt-tooled spine, some wear, marginal water stains, 6 3/4 x 4 in. 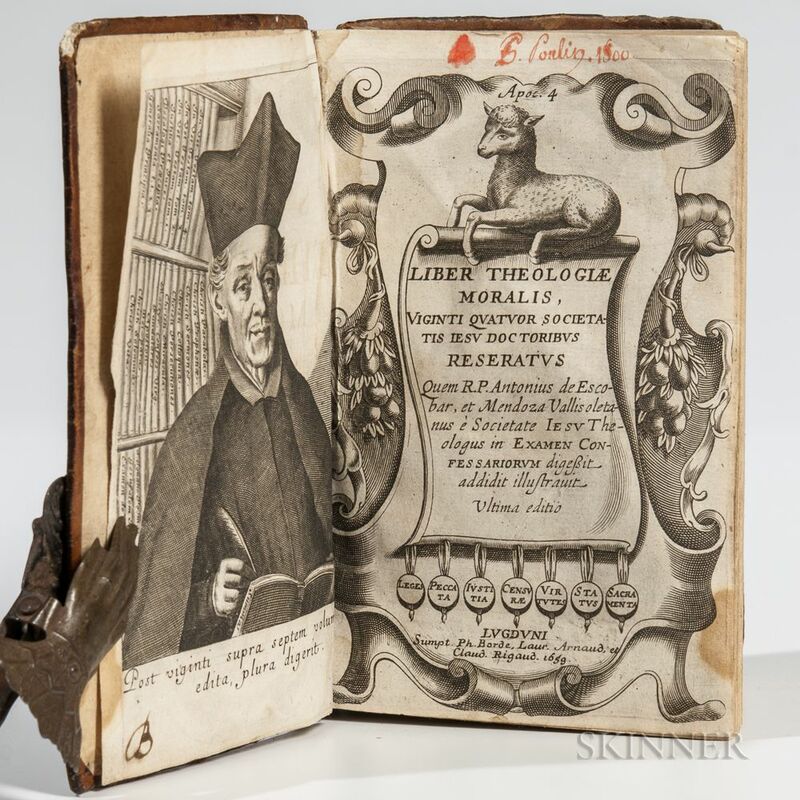 Escobar y Mendoza was a Jesuit scholar sometimes criticized for promulgating a rather lax approach to moral theology. a8, e8, i4, A-Z8, Aa-Zz8, AAa-LLl8.